Callie Vee, Travis, Granddaddy, and the whole Tate clan are back in this charming follow-up to Newbery Honor-winner The Evolution of Calpurnia Tate. Travis keeps bringing home strays. And Callie has her hands full keeping the wild animals-her brother included-away from her mother's critical eye. Whether it's wrangling a rogue armadillo or stray dog, a guileless younger brother or standoffish cousin, the trials and tribulations of Callie Vee will have readers laughing and crying and cheering for this most endearing heroine. 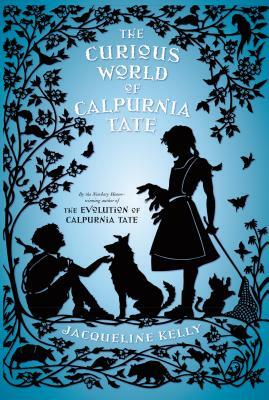 Jacqueline Kelly won the Newbery Honor for her first book, The Evolution of Calpurnia Tate. She was born in New Zealand and raised in Canada, in the dense rainforests of Vancouver Island. Her family then moved to El Paso, Texas, and Kelly attended college in El Paso, then went on to medical school in Galveston. After practicing medicine for many years, she went to law school at the University of Texas, and after several years of law practice, realized she wanted to write fiction. Her first story was published in the Mississippi Review in 2001. She now makes her home with her husband and various cats and dogs in Austin and Fentress, Texas.